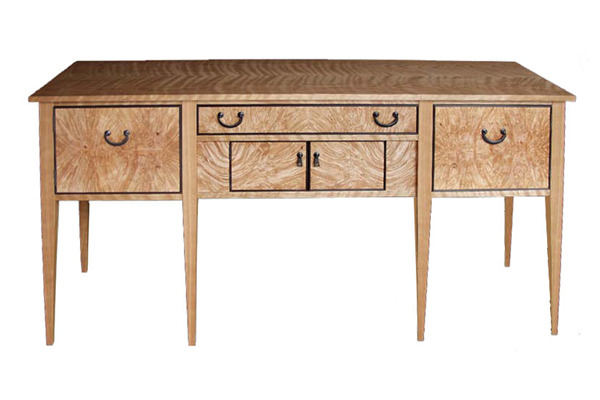 Contemporary version of the traditional sideboard #195. Cherry case with big leaf maple burl, shop made veneer drawer fronts. Hand forged steel hardware and painted details.